In 2015, the company published Dancing Light: The Spiritual Side of Being Through the Eyes of a Modern Yoga Master which received a front cover endorsement from Dr. Deepak Chopra and won 10 national and international awards including a 2016 IPPY Award, 2016 International Book Award in three categories, 2016 Best Book Award in three categories, and 2016 Eric Hoffer Book Award. In 2017, the company published Shining Bright: Quotes and Images to Inspire Optimism, Gratitude & Belief In Your Limitless Potential which has already won the prestigious IBPA Benjamin Franklin Award in the gift book category. Now, the company is working on Tao Porchon Yoga, her definitive yoga teachings. From a brand management standpoint, the company expanded Tao’s brand identity beyond yoga, increased her marketplace value, grew her media reach, secured her social media presence (e.g. 60K Instagram followers) and enabled appearances at places like the United Nations and World Government Summit in Dubai. 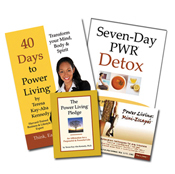 Power Living’s Founder Teresa Kay-Aba Kennedy has accompanied Tao on sixty-six events (e.g. in India, China, Slovenia, Montenegro, Jamaica, Bahamas, the UK) and moderated fifty-one Conversation with a Master talks. The company is now contracted to produce a children’s book series, digital courses, a documentary and feature film based on Tao’s life. Find out more and view products from www.PowerLivingMedia.com. Learn more about our Founder. 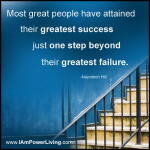 We also offer consumer empowerment programs and the www.IAmPowerLiving.com platform for inspiration. To connect with us, email info@power-living.com or call 212-901-6913.